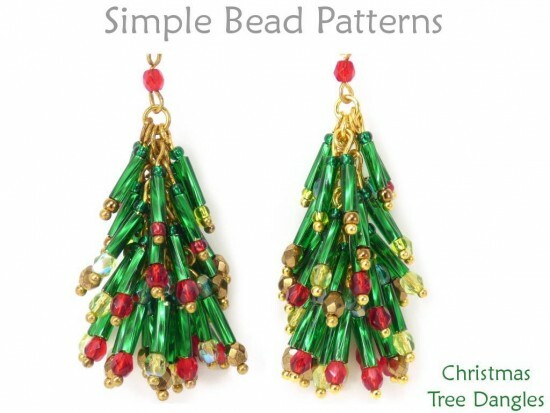 Learn how to make wire wrapped DIY beaded Christmas tree earrings with bugle beads with this holiday jewelry making beading tutorial. 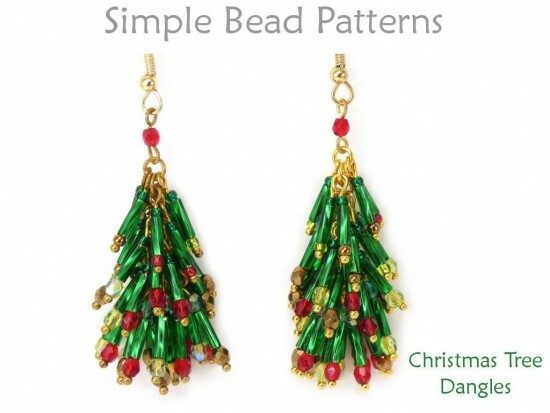 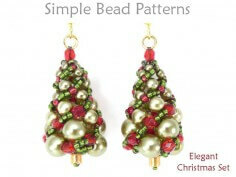 Festive and full of motion, these fun Christmas Tree Dangle earrings are perfect for the holiday season. Whether you make your beaded Christmas Trees in the classic green or winter white, like our two samples, or use other festive colors such as gold, blue or red, these unique and sparkly earrings are will spread holiday cheer wherever you go. 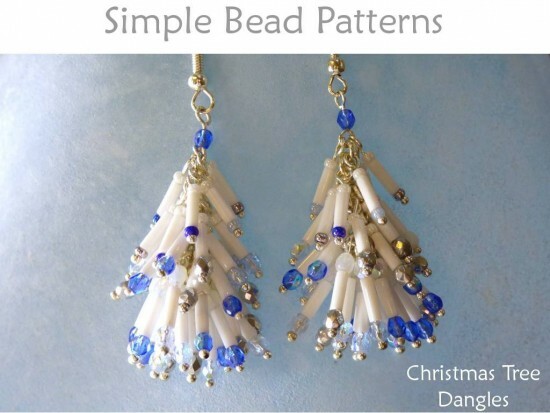 Made up entirely of headpins, jump rings and beads (no chain required) these super fun to make and wear earrings measure approximately 2” (5 cm) tall, not counting the ear wire, and approximately .75” (1.9 cm) wide at the base. 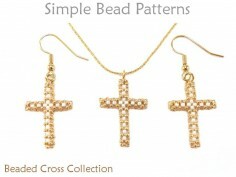 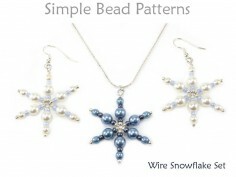 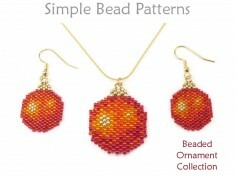 This simple beading pattern includes a detailed materials page, color information for the two samples shown, over 80 high-resolution full-color photos and easy to follow step-by-step directions. 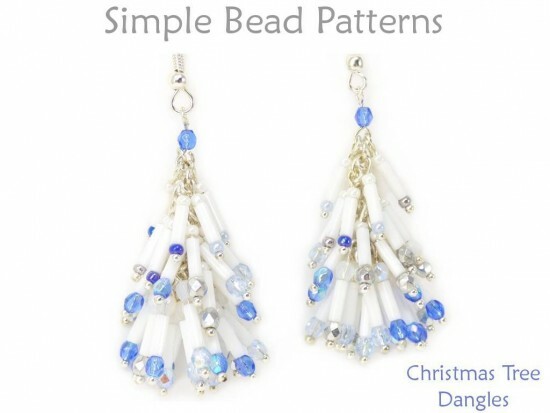 It would be helpful if you have some beading experience, but don’t worry if you are a beginner - this beading pattern is written and photographed in detail so even beginners will have fun and be successful. 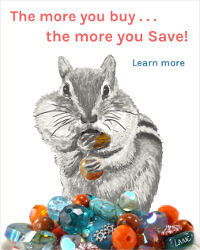 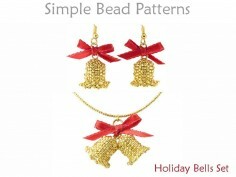 And don’t forget, ‘tis the season for giving. 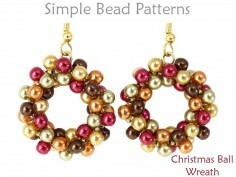 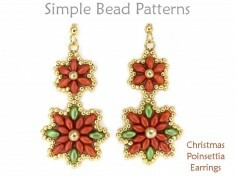 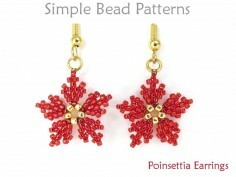 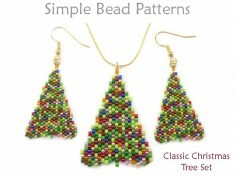 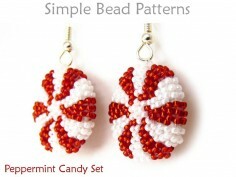 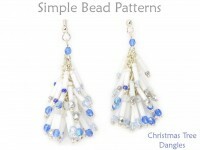 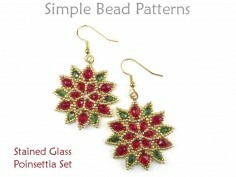 These bright and whimsical beaded Christmas earrings make great handmade gifts for dangle lovers on your list. 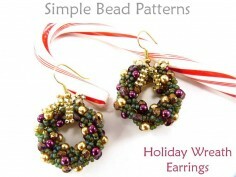 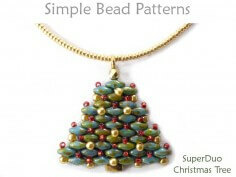 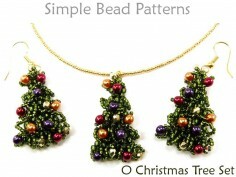 Happy holiday beading!